Launching a multi-level marketing (MLM) business can be challenging without the right merchant account backing you. A specialized MLM payment processor can help this niche of businesses become successful faster due to their ability to manage high-risk accounts around the world. The MLM space has been highly-profitable in recent years, with the top businesses pulling in billions of dollars annually. The established businesses in the industry that work with banks and other mainstream financial institutions to handle their merchant account often see their profitability decrease due to the high rates and fees that banks will impose upon them. The situation for MLM startups is trickier. Without a proven business record and due to the high-risk nature of the business, many MLM startups have difficulty obtaining a merchant account. Working with an MLM payment processor that specializes in working with high-risk businesses is ideal; these payment processors can help reduce chargebacks, maximize profits, attain access to global markets and develop a reputable and stable payment processing operation. MLM businesses face increased chargeback risks. Like any other business, MLM businesses experience chargebacks due to true and friendly fraud. MLMs that do not provide adequate customer services or that do not communicate clearly and frequently with customers may face increased disputes borne out of convenience. In these scenarios, the customer finds it easier to contact their issuing bank and demand a refund than to work with the merchant on a resolution directly. These types of chargebacks are avoidable when customer service best practices are followed. An MLM payment processor will be well-versed in all of these nuances and be able to offer solid payments advice for businesses in this niche. They may be able to advise on chargeback management and prevention as well as customer service best practices. For MLMs that operate under the recurring business model, an MLM payment processor can streamline recurring payments and help with dunning management. For all business types, a payment processor should be able to recommend fraud prevention tools to augment a merchant’s payment systems, including pre-chargeback alerts and chargeback dispute services that are executed in real time. Alerts allow businesses to determine which disputes are worth fighting, enabling them recourse against preventable chargebacks. This can save hundreds of thousands of dollars in lost merchandise as well as fines and fees. This can also help keep an MLMs chargeback ratio in check, preventing merchant account freezes or termination. Payment gateways are an integral part of the MLM industry as businesses are increasingly expected to have an online storefront. Consumers expect online businesses to accept all major credit cards, as well as other forms of payment. These include online and mobile payments that have grown in popularity in recent years, including PayPal, Apple Pay and Samsung Pay. International MLMs should also consider the preferred payment methods of the countries that they serve. The language and currency of payment pages should be tailored to fit customers from all of the core countries to which a merchant sells. An MLM payment processor can also help automate the process of accepting recurring payments through your gateway. Funding is another important consideration. 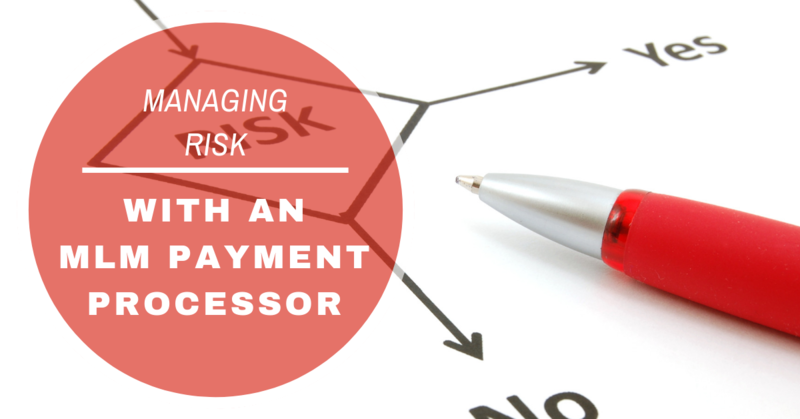 Some payment processors hold funds for longer periods of time, which can impede cash flow. Merchants should look for MLM payment processors that fund quickly—ideally within 24 to 48 hours. A good MLM payment processor should provide PCI-compliant gateway to securely process payments and mitigate the risk of a breach. Data breaches are catastrophic to a merchant’s profitability and brand reputation as it can compromise the sensitive personal information of your customers. A well-ironed MLM payment processor should have the right security tools to meet PCI compliance and also be able to advise on additional measures to keep payments secure. This may include the use of AVS, CVV2, 3DS2.0, and other security protocol that keep payments safe. Additionally, a payment processor should be knowledgeable in all areas of payments security, including new directives, regulations, and tools that secure payments from end to end. MerchACT specializes in offering payment processing services for MLM companies and other high-risk businesses. With 15 years of experience, we have developed the tools to ensure your customer data is secure, reduce fraud and chargebacks and help you grow. Contact us today to get approved.